The Bolder Challenge is a wildly entertaining game for up to 8 players! 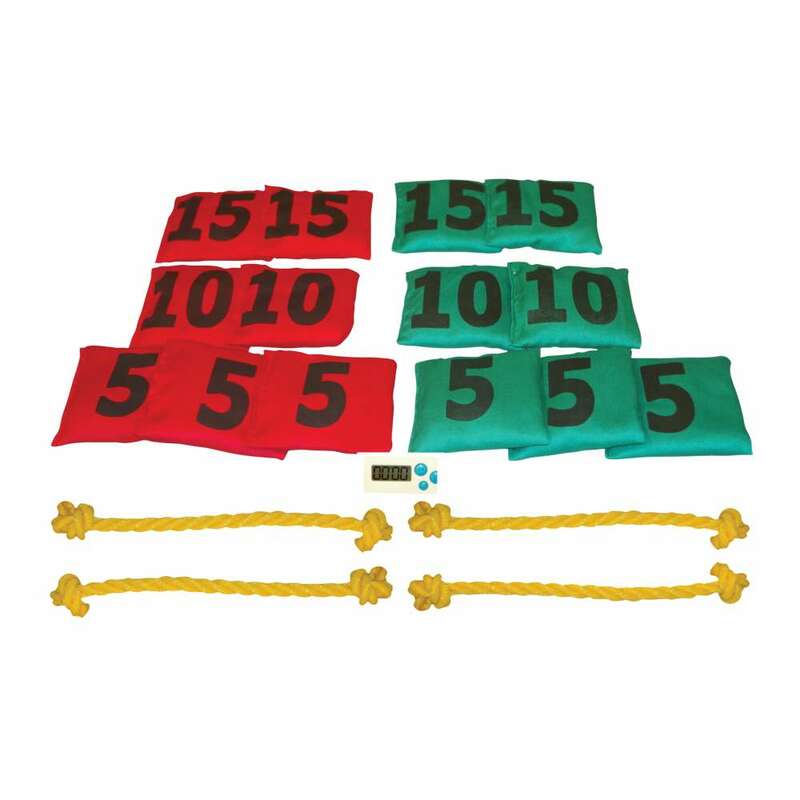 Run fast to gather bean bags each worth a different amount of points: 5, 10, or 15. 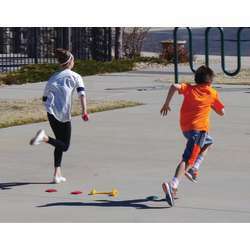 The farther you run the more the bean bag is worth. But wait! You only have a limited amount of time to gather your bean bags! Which first? Strategy and teamwork are needed to win! 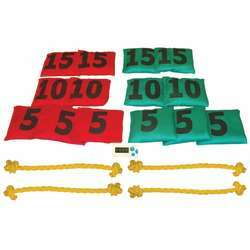 Includes 14 bean bags (7 red/7 green), 4 rope markers, timer, activity guide, and storage bag. 2-8 players.